✈ UNBREAKABLE – ABS material: light, flexible, bendable and soft, which can bear kinds of strike. 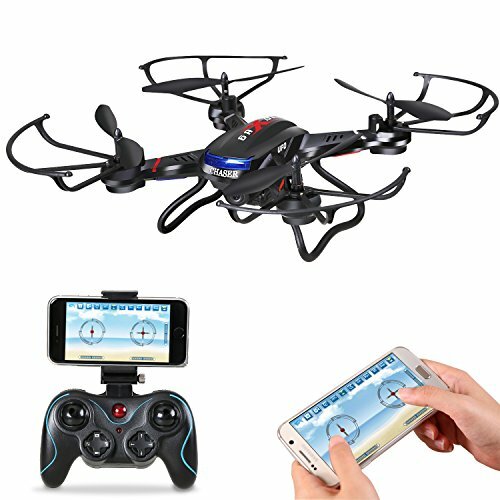 A really durable drone for beginners. 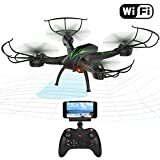 ✈ WI-FI FPV REAL TIME TRANSMISSION – Connect your phone with the drone and the view will be shown directly on your phone, enjoying the world in a different way. Compatible with 3D headset. 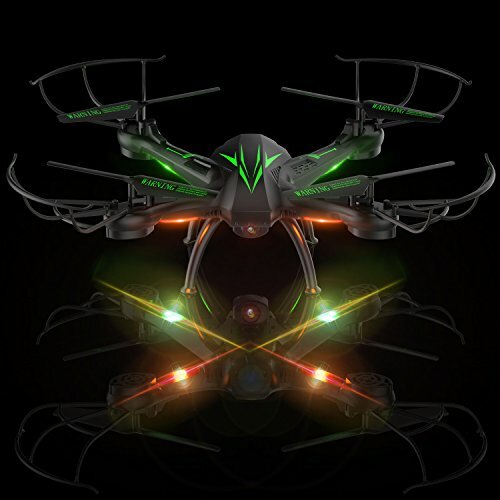 ✈ HEADLESS MODE – Built-in direction adaptor, allowing user to operate from any direction without worrying about the drone’s facing direction, and an altimeter that locks its height. √ Crash test: crash from flight altitude, bearing collision several times, no serious damage or dysfunctional appearance. √ Drop test: high meters vertical drop three times, no serious damage or dysfunctional appearance. √ Bend test: Blade can be bend into 90°, no crush. √ Press test: Forced to press the drone, no serious damage or dysfunctional appearance. ∙ TRAJECTORY FLYING – Trace the desired flight path on your phone screen and the drone will go forwards it. ∙ BAROMETRIC RATING – the ability to analyze surrounding environments like wind, air pressure and hold itself stably in a certain altitude. 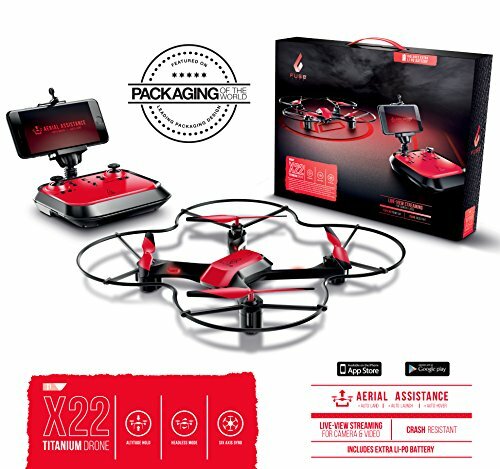 ∙ BARREL ROLL – Pressing special move button, quadcopter will automatically adjust to the best possible position. Then do a barrel roll to any direction. 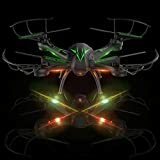 ✈ ONE HOT KEY – Programming the drone with one key take off, land, stop, return and 3D roll. 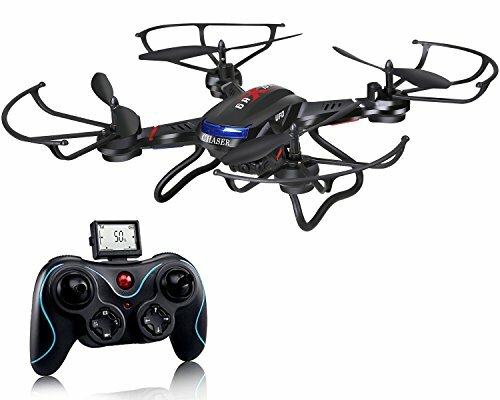 A good quadcopter for beginners and can operate easily and steadily in any conditions. 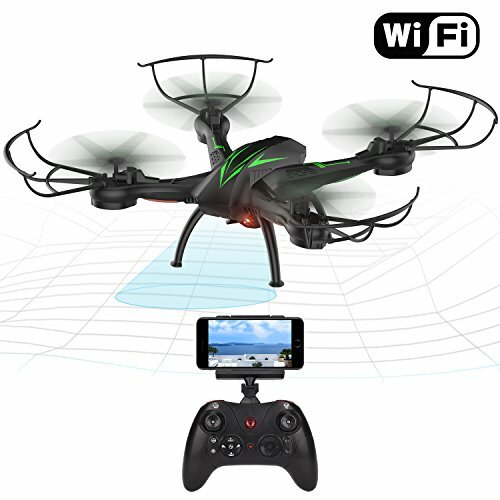 ✈ GRAVITY INDUCTION: Allows you to fly your Rc Drone forward, backward, left or right in correspondence to the angle you hold your mobile device.